The world's first Google laptop's shipping will start from June 7. Kogan Agora laptop features a 1.3GHz Celeron M ULV (ultra-low voltage) CPU and 1GB of DDR2 RAM in the basic version, upgradeable to 4GB. Intel GS40 chipset (GMA 4500MHD) with 256MB of shared memory, makes gaming easier. 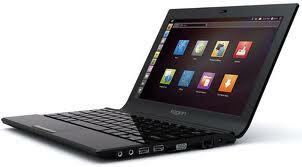 There's also 30GB SSD storage, 3 USB ports, 1 HDMI port, a memory card reader and a 1.3 megapixel webcam. Wireless connectivity via 802.11 B/G/N Wi-Fi or by using a smartphone as a hotspot. Battery life is 3.5 hours.